Compact -- only 225 L x 42 H x 135 D mm, perfect for caravans. 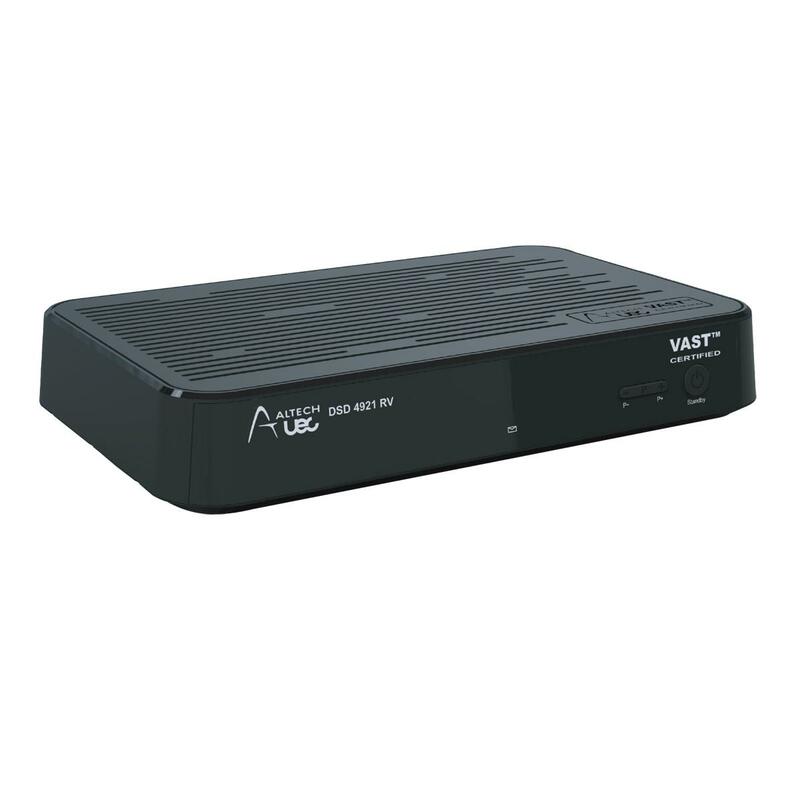 Twin Tuner function -- with dual DVB-S2 tuners you will never miss your favourite show again. 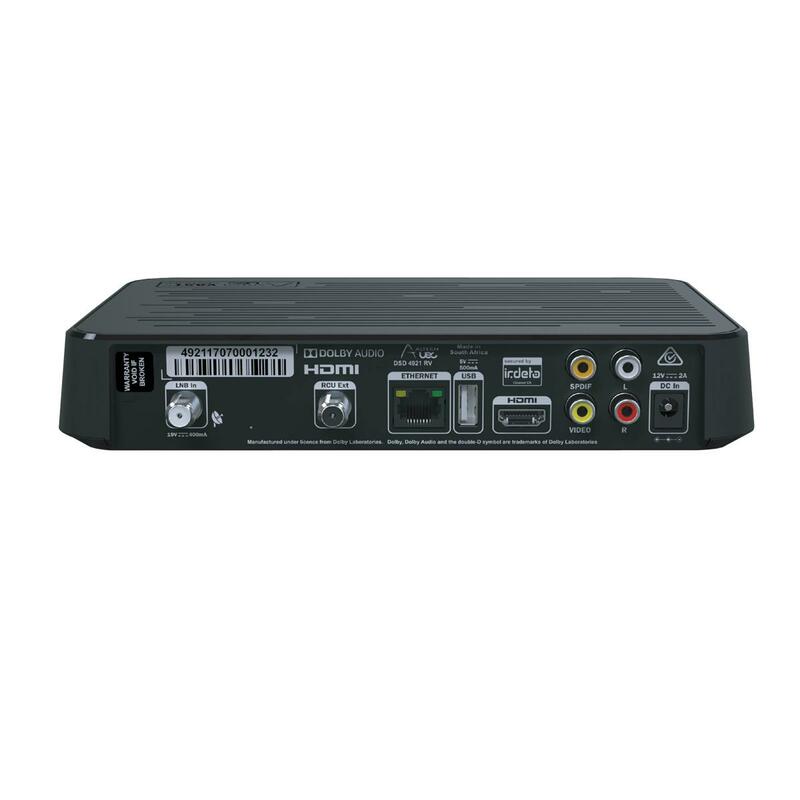 Ready to record -- support and ready to convert into a PVR unit with an external USB2.0 storage device. Made for Australian condition -- ruggedised design and construction to suit the harsh Australian environment. Dual Power operation (12V DC/ 240V) is perfect for home or caravans and motor homes. External 12V power supply -- ready for regulated vehicle or solar power with reverse polarity protection. Remote control IR extender on F Connector -- for discreet installation. Accesses free to air TV channels and Radio stations from almost anywhere in Australia. Hybrid Broadband TV (HbbTV) Australian Profile ready with all key software features to support Freeview Plus. Decodes High Definition HEVC / MPEG 2 & MPEG4 and Dolby Digital audio. Electronic Program Guide (EPG) simplifies program access. Software developed in Australia and optimised for Australian viewers. IRDETO secure silicon conditional access. Firmware upgradable via USB and Over The Air. VAST certified -- and built for Optus Aurora Digital platform.